In the Internet radio wars we have newcomer, the Swedish Spotify vs. the US based Pandora. Usually, the first mover has the advantage, but in the incredibly fickle world of music powered by technology, being the new kid on the block may give you an advantage to roll out a different flavor faster. If you are a Spotify Free user, you have probably heard the ads about how the company rolled out free mobile radio similar to Pandora where users create stations based on artists and/or songs. Our latest app features free radio – the only radio where you can save the songs you love. Now you can discover, save and enjoy an unlimited amount of music on the go. Create stations based on any song, artist, album or playlist, and let Spotify bring you one great song after another. When you like a song, give it a thumbs up and it’ll be saved to a Spotify playlist on your desktop. So you can listen whenever you like. By liking songs, you’ll help to personalize your stations – meaning they’ll play more of the music you want to hear. 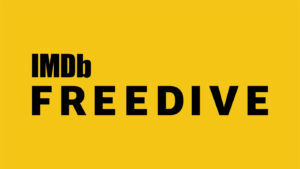 Premium users can enjoy a premium radio experience that’s ad-free. Free users, you’ll hear occasional ad-breaks just like you do on your desktop. So get the free app now to enjoy mobile radio – Spotify-style! Free radio is powered by the entire Spotify catalog, the biggest of its kind. Unlimited songs and stations – listen forever! Like a song? Save it to your Spotify playlists with a thumbs up. Great music choices from our shiny new recommendation engine. Don’t like a song? Skip it. Make radio even better by liking songs. Does this mean that the end is near for Pandora? Taking a quick look at both of them, they have a few more differences than similarities. 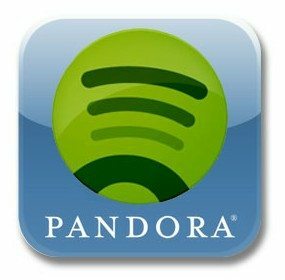 Spotify has the ability for users to pick and choose the artists and songs they want to listen to on demand for free on computers ($9.99/month on mobile devices), whereas Pandora does not. With Spotify’s new radio function, which works similar to Pandora, users can “star” or “thumbs up” songs to save to them on the Spotify app and listen to them whenever they want. It’s likely that this will make Spotify reign supreme in the world of internet radio. Where Pandora users are used to constantly giving thumbs up or down to songs, Spotify users can simply thumbs up a song then listen to it whenever they want. Beyond features, Spotify appears to have much better social media integration than Pandora, especially with Facebook. In fact, Facebook integration was an obvious focus for the Swedish company; users with the Spotify app enabled have their activity displayed on the timeline and can share songs and playlists. It should be noted that Spotify forces users to sign up through their Facebook account whereas Pandora does not, but this quirk is made up for by the flawless social media integration. From our standpoint Spotify has got everything that Pandora has and more, even at the free level. The only thing that Pandora had over Spotify was their mastery of internet radio. Now that Spotify Radio launched on mobile, it’s going to force Pandora to react. Considering the ultimate goal is to be able to deliver highly targeted ads or get paid to be the end users only music source, none of this is good for old fashioned terrestrial radio which failed in every way to react and adjust to the changes the Internet has forced on them. It will be interesting if at some point, Pandora and Spotify will find a standard for selling ads so that local businesses can target their most likely customers. If there is one thing about the new media landscape that hurts the most, it’s been the demise of local radio. When done well, it’s an art form. When done by corporations- it’s a failure of magnanimous proportions. If you listen to the gurus of our economic destiny- you’ll keep hearing that small business is our real economic engine, yet- except for the Internet and Google with their adwords, big media has pushed small business away for years. What brought this to mind was the very first example in “The Art of Client Service” by Robert Solomon. It’s in the introduction- not even one of the “58 Things every advertising and marketing professional should know” that’s made the book a classic in the business. He describes the handing off of a client from one rep to another. In the umpteen corporate “reorganizations” and new “Sales Managers” grand plans to make Clear Channel somehow better- they forgot about the customer. The one who has a relationship- face to face with the people who buy their product. It’s not just the radio station, the newspaper does the same thing as do the television stations and the cable companies. Some genius forgets that business is built with interpersonal relationships- and that you can’t change them without the consent of both parties. Good relationships aren’t arranged marriages, but the result of building trust over time. Your bottom line will only be as good as your front line- the relationship between your company and your customers isn’t created in a board meeting or at corporate HQ, it’s forged by your sales people who press the flesh and write the orders and bag the groceries. It’s in how you deliver your product or service, with a personal touch. Small business still understands- big business, doesn’t. Will e-reader tablets change advertising too? Just watched this video about the future of magazines via e-readers. Nothing mentioned about newspapers (who need a new metaphor for presentation of content more than do magazines which have evolved over time). via Digital Magazines: Bonnier Mag + Prototype | Bonnier AB. The real value is being able to deliver custom ads, with feedback to advertisers- do you like this ad, this product, do you want to learn more, or you want to buy? Will the content be a pure cash buy for the user, or will advertising still support it? And best of all, we’ll finally know who is reading the ads. Remember, without the need to print- and distribute, the costs for content producers drop considerably. However, the cost of getting readers willing to pay- that’s another matter. While we may solve the hardware issue, solving the content value equation- and the amount of intrusion of advertising is a much bigger problem. What will be most critical is a single publishing standard- so that one e-reader can read any content and advertisers can reach all readers based on your personal preferences. The only other remaining challenge is getting enough of these readers out all at once. It will have to be fast for publishers to transition smoothly. With magazines and newspapers dropping like flies, maybe it’s time for a national e-reader initiative as part of a green tech movement. Every newspaper, every magazine, should consider ending printed publications by banding together and delivering an e-reader as part of the subscription cost. The faster we move to digital print, the faster we move to better, more trackable advertising.